I don&apos;t know why bath time turn into a battle in my house. There&apos;s begging and pleading, and veritable teeth pulling to get my two kiddos to succumb to soap, water, and a soak. Maybe it&apos;s the fact that bath time marks the beginning of bedtime--it&apos;s their initial way to rebel against sleep (a whole other battle I&apos;ll save for another time and a separate post). My son is now six and will take showers--and for some reason, he finds this more tolerable (maybe it makes him feel grownup); but giving my four-year-old daughter a sufficient dunking remains a nightly debate fueled by tears, bribery, and eventual acceptance. The funny thing is: she loves the bath once she&apos;s in it--getting her out turns into a secondary scene. Ah, you&apos;ve got to love theses unpredictable, irrational toddler years. As an avid beach and pool lounger, I&apos;ve always loved the Sun Bum brand for its line of safe and effective SPF products. So when I learned about the launch of Baby Bum, I was excited to give it a try. 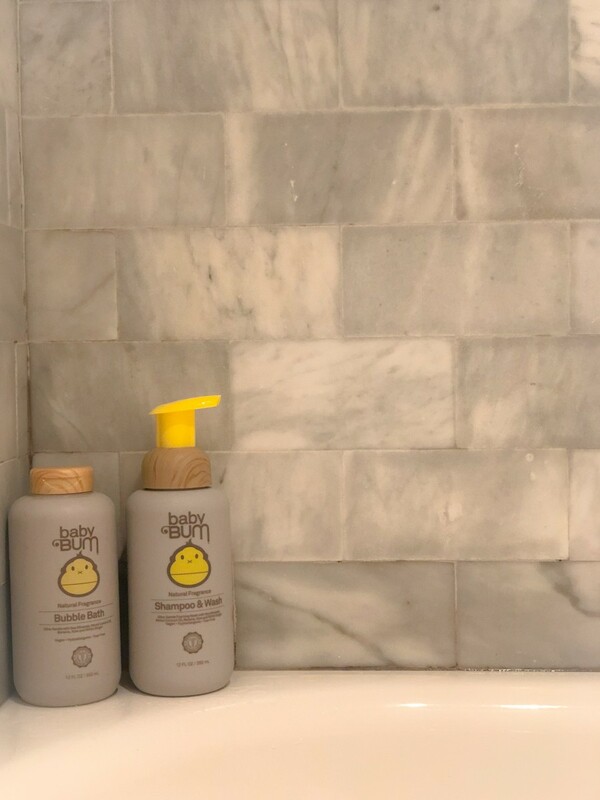 Formulated with some of earth&apos;s most naturaal ingredients and free of parabens, dyes and phthalates, Baby Bum&apos;s plant-based products are formulated to be gentle on a little one&apos;s skin. I adore the Ultra-Gentle Foaming Wash + Shampoo (who doesn&apos;t like a multipurpose product?) and my wee ones love the subtle tropical-inspired scent (it&apos;s also available in a fragrance free version). 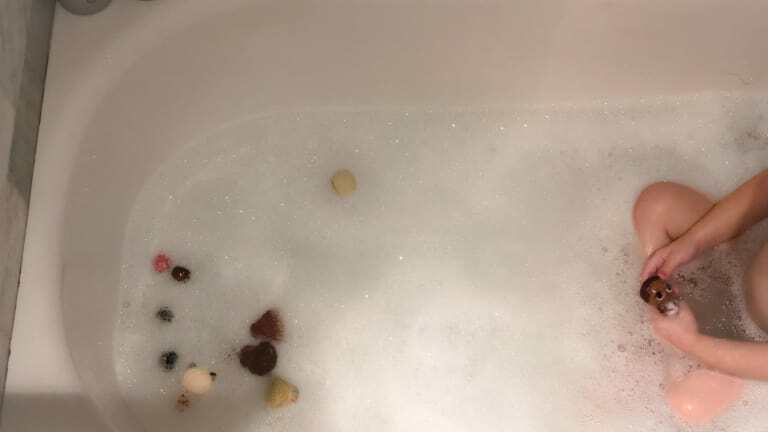 The bubble bath fills the tub with playful, aromatic bubbles that are prime for the popping; and I feel good knowing no harsh chemicals are used to create that scrub-a-dub-dubbable scene. When it comes to bath toys, I say the simpler, the better. 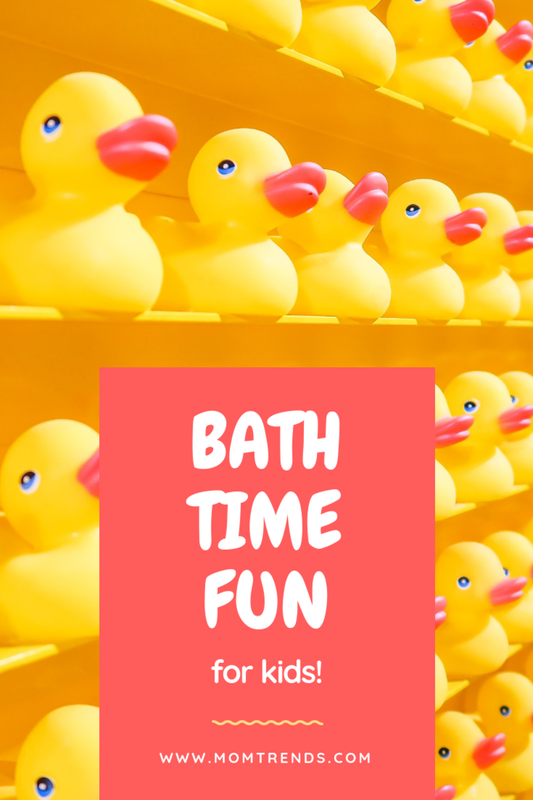 Our kids are already so preoccupied with high-tech gadgets and gizmos, bath time is a way to reconnect with tactile toys and have some good old-fashioned imaginative fun. That&apos;s why we love this Edushape Magic Creations Play Set. This fashion-inspired set of foam dolls and accessories make bathing a blast. They stick to the tile and allow us to create fun and fashionable scenes. I always test the water before setting my kids up in the bath, but their skin thin can be extra sensitive to extreme temperatures--why take chances? Besides the risk of burns, many kids are extremely finicky about the water temp. My daughter needs her bath to be &apos;perfect&apos; before she&apos;ll even dip her toe into the suds. The Kräb 3-in-1 thermometer makes this task attainable. 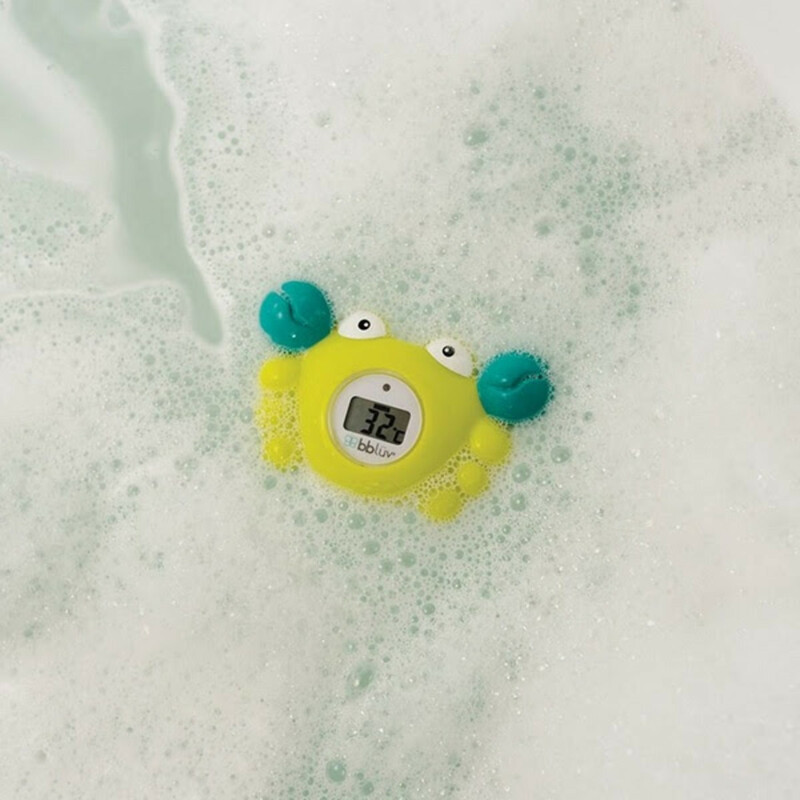 Whether reading the temperature of the water or the air around the tub, the fun shaped thermometer doubles as a toy to keep her amused during bath time. A warning will sound when the temperature is too hot or too cold. My little hates getting water in her eyes--and if soap bubbles even come close to her face, all heck breaks loose. The Käp silicone shampoo repellent cap is the perfect solution to these wet-face woes. 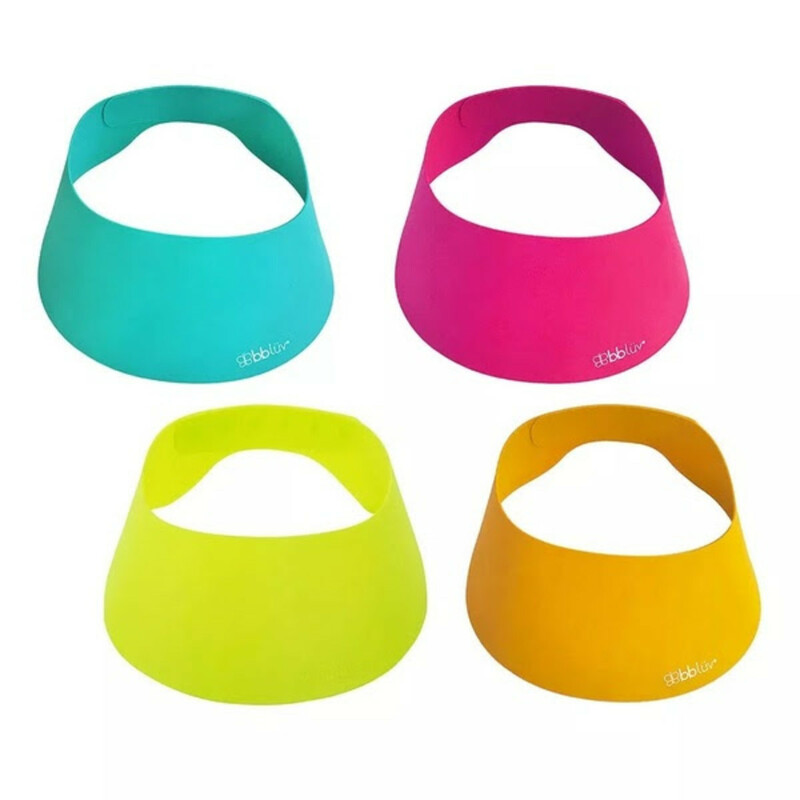 Adjustable for a solid fit and made from food-grade silicone, the cap prevents water or soap from approaching those precious peepers. So next time your filling the tub, prepare for battle... or prepare to be prepared with an arsenal of goodies you will both love.